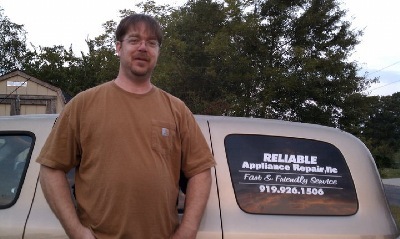 Please feel free to contact our repair company, Reliable Appliance Repair, at 919-926-1506. Office hours for repair are 8am until 5:30pm Mon.- Fri. Cloesd on Saturday. We provide in home service on most brands of kitchen and laundry room appliances.